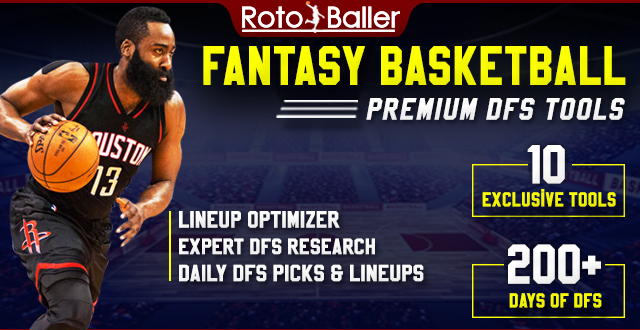 We have a 9-game slate tonight, with fantastic options at each position, so you will be looking to jam some of these studs in your lineups. 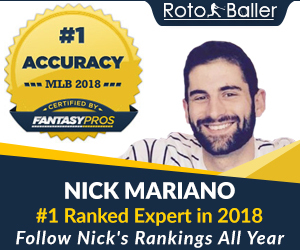 If you are rolling out multiple lineups tonight, you should be very excited with how many options there are, so look to diversify your player pool. 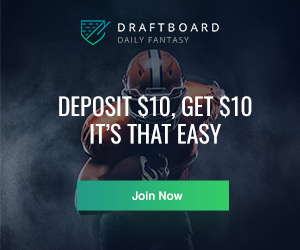 In this article, I will be providing you with my daily fantasy basketball lineup picks for FanDuel on 3/20/19. These DFS lineup picks can vary from higher-priced players and elite options to lower-priced players and value picks on FanDuel. You can also check out today's DraftKings lineup picks. Remember to check your lineups before tipoff for injury updates. Give me a follow on Twitter @DFS_Tom Good luck! Lillard damn near went super Saiyan the other night with 30 points and 15 rebounds, for a total of 60.9 FanDuel points. This is due in part since C.J. McCollum is out for the Trail Blazers which means Lillard sees a 9.4% increase in his usage, along with an extra 15 fantasy points per 48 minutes this season. The increase in production is something we want to capture tonight but it comes at an elevated price since Lillard is now over 10K. He is still worth it tonight since he is up against the Mavericks who are giving up the eighth most fantasy points per game to point guards this season. Ross comes in with 30 or more fantasy points in three of his last five games, but only 14 and 16 in the other two. A bit of a wide range of outcomes for him, which is not something you want in cash games, you want to target that variance in GPPs, to capture his potential upside. That level of production should be reachable tonight since he is up against the Pelicans who are allowing 41 FanDuel points per game to shooting guards, which is the sixth worst in the league. 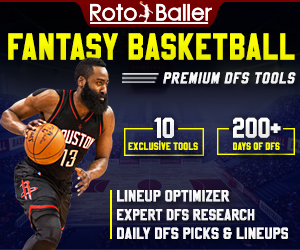 The over-under is set at 226 points tonight, which is the second highest on the slate, so we are in for a bit of scoring here which is great for DFS. Crowder has one the softest matchups on the slate tonight since he is up against the Knicks who are in full tank for Zion mode and decided to not play any defense, so why not roster against them this season. The Knicks are allowing 43 FanDuel points per game to small forwards this season, which is dead last in the league. Crowder has a very affordable price tag tonight and has posted 25 fantasy points or more in three of his last five games. Portis is up against his former team tonight and based on what happened after the trade, you could say there is a bit of bad blood, so we have a nice DFS narrative to attack tonight. He comes in with 32 fantasy points in only two of his last five games, while the other three games are a bit of duds. We are playing the matchup and the narrative in this spot, which means he is a GPP option only. The Bulls are allowing 46 FanDuel points per game to power forwards this season, so the DvP matchup is there for him in a game where the over-under is set at 234. Lopez certainly isn't the most exciting player in NBA DFS, but he has posted over 30 fantasy points in three of his last four games, with two of those games being over one fantasy point per minute. We are getting some strong consistency for a player on a bad team, but he has a great matchup to attack since he is up against the Wizards who are 29th in defensive efficiency against centers. Super high over-under he should make this a great spot for fantasy points on both sides.